A bench of Chief Justice Hemant Gupta and Justice Vijay Kumar Shukla directed the Bhopal sessions judge to ensure that the case was heard on a day-to-day basis once the chargesheet was filed. 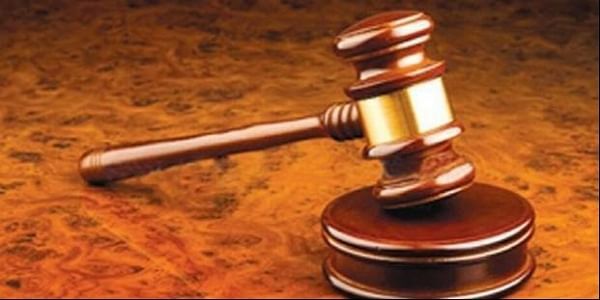 JABALPUR: Taking a stern view of the October 31 Bhopal gangrape case, the Madhya Pradesh High Court today sought a status report within two weeks on the disciplinary proceedings initiated against the erring police officials in the case. Describing the chain of events after the alleged gangrape of a 19-year-old woman as a "tragedy of errors", a bench of Chief Justice Hemant Gupta and Justice Vijay Kumar Shukla directed the Bhopal sessions judge to ensure that the case was heard on a day-to-day basis once the chargesheet was filed. "The learned advocate general states that the investigation is likely to be completed within 15 days and the chargesheet is going to be filed before the court. "As and when the chargesheet is filed, we direct the learned sessions judge, Bhopal to entrust the matter with a court, which can take up the proceedings, preferably on dayto-day basis," the bench observed. It asked Advocate General Purushendra Kaurav to submit a status report on the disciplinary proceedings initiated against the police officials, who did not lodge the FIR and made the victim run from one police station to another. "The report shall be filed within two weeks," it said. "The learned advocate general also states that the report shall be filed in respect of the doctors, who had prepared the medical report (of the victim) in a cursory manner," it added. The AG assured the court that not even one guilty in the case would be spared. He also told the court that five policemen were suspended for being lax in lodging the complaint of the victim, while two doctors were suspended for the errors in the medical report. The high court also took on record the action-taken report of the government and posted the matter to November 27. Three days ago, Chief Justice Gupta had issued notices to the chief secretary, director general of police (DGP) and others, after taking suo motu cognisance of media reports on the alleged gangrape and the medical report of the victim, which apparently had glaring errors. The medical report of the victim had stated that the sexual act was committed "with her consent and will", triggering a widespread outrage five days ago. At one place, the report, prepared by the doctors of the Sultania Lady Hospital here, had termed the 19-year-old woman an "accused", rather than the "victim". The woman was allegedly raped by four men for nearly three hours near the railway tracks in Bhopal when she was returning home after attending a coaching class on October 31.